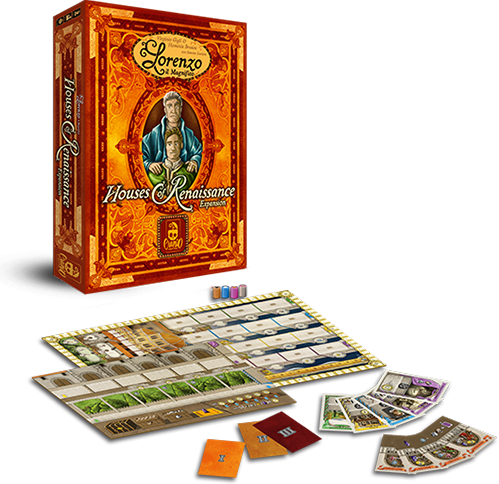 In this expansion, players have new possibilities to expand their family’s influence throughout Italy during the Renaissance. You will have access to your family power, as well as the ability to conquer new territories, influence new characters, sponsor new buildings, encourage new ventures. You will also have new leaders to call for support. Furthermore, you will have a new player in the game. New mechanics will greatly change the game each time you play Lorenzo il Magnifico.